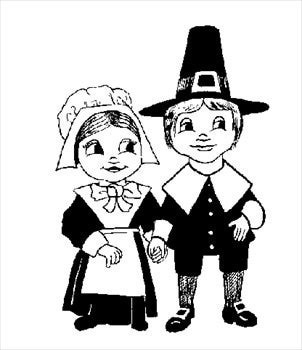 In the upper left corner, we see a “pilgrim” girl waving at the turkey, while she holds what appears to be an ear of indian corn. Bye, bye! To the dinner table with you! Previously, we were complaining about having nothing to do around here. 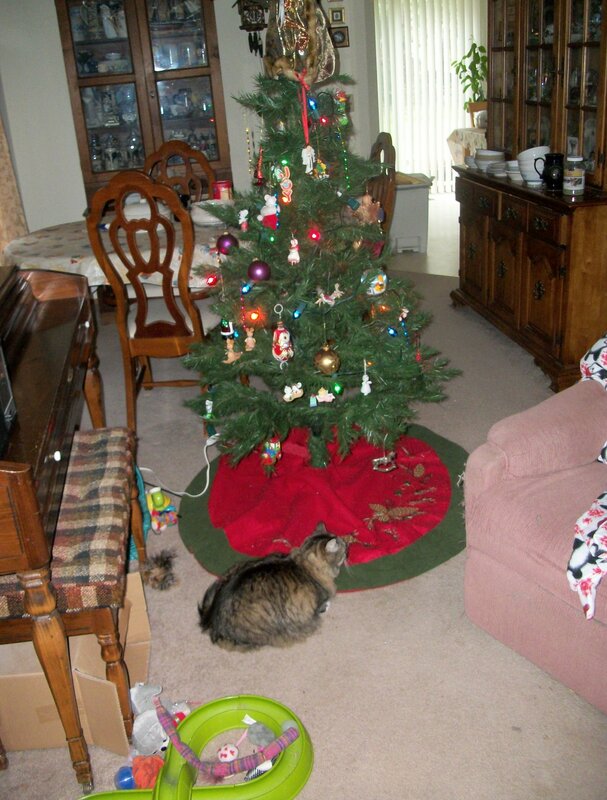 Instead of lying about, we decided to put up a Christmas tree and other holiday decorations. A small artificial tree was put together. 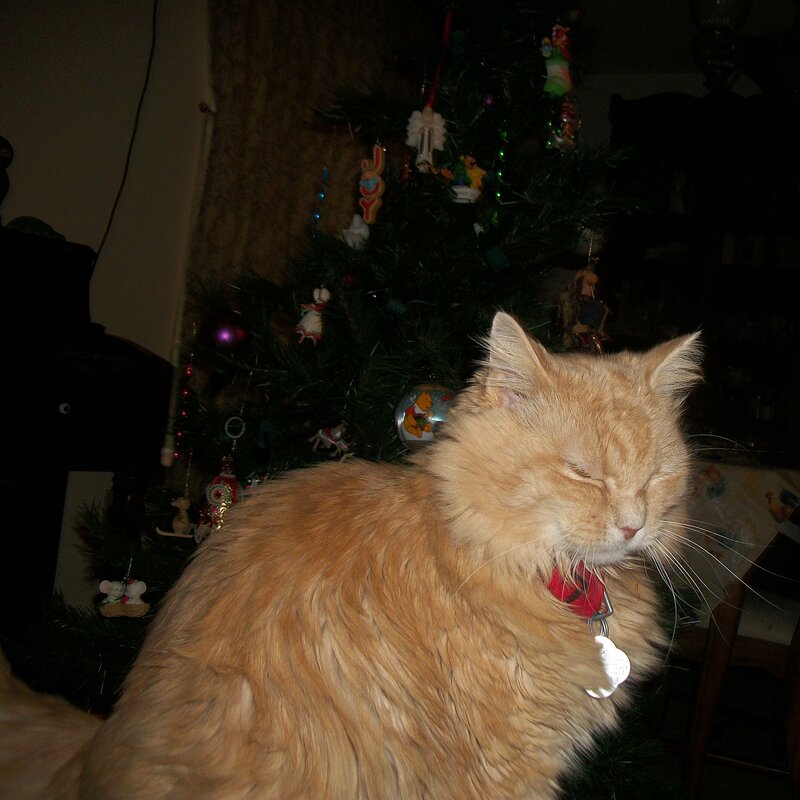 Opie supervised the placement of the tree, and declared the position to be satisfactory. We finally finished most of the tree decorating, but not all. There is no shiny tinsel. 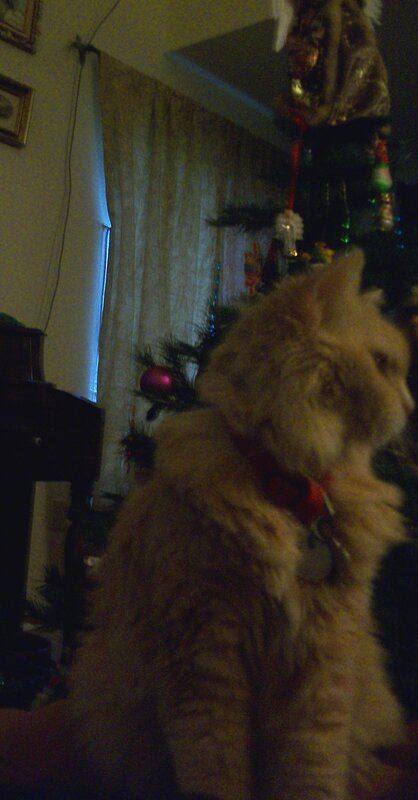 The cats like to play with tinsel and eat it! 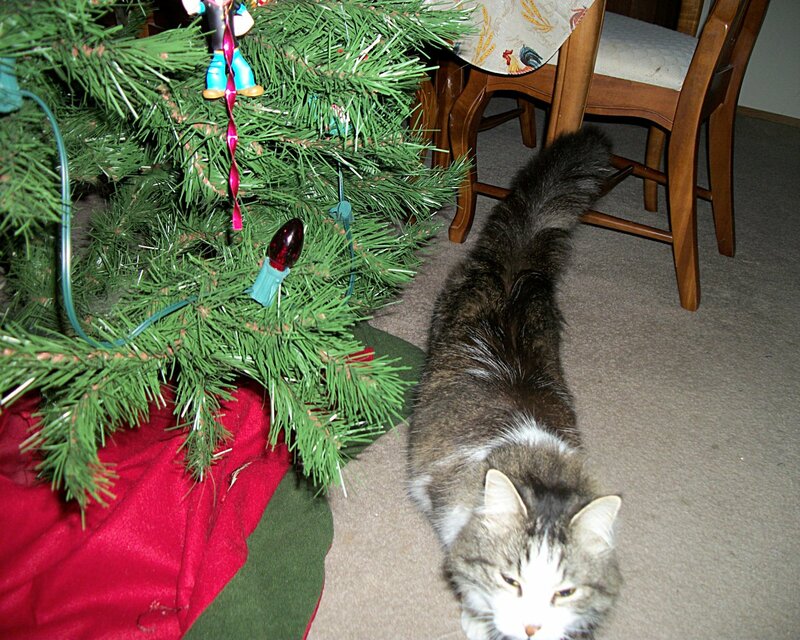 Tinsel is not allowed! 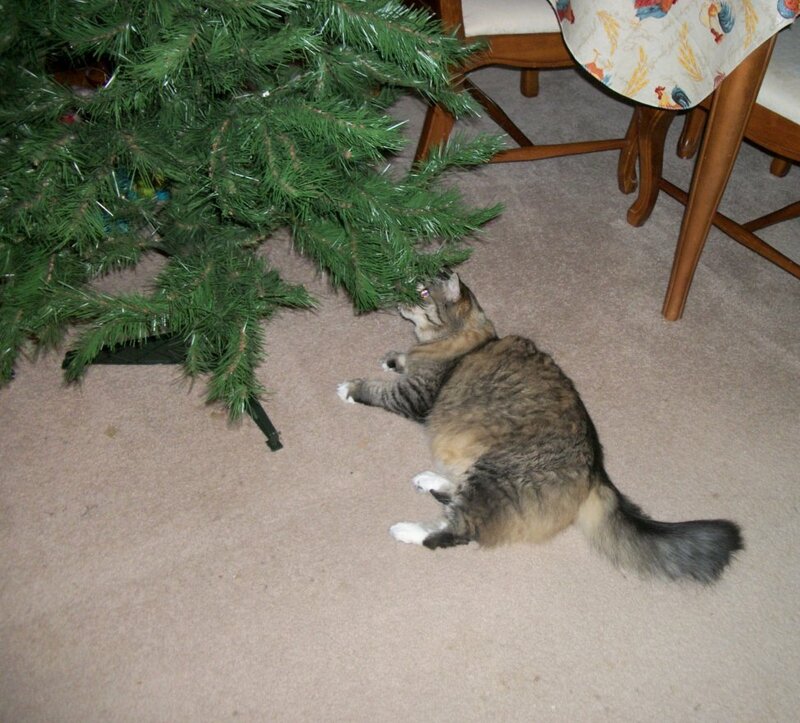 There are a few more special ornaments I must find, and place upon the tree. Overall, Opie was satisfied with the results of our labor so far. 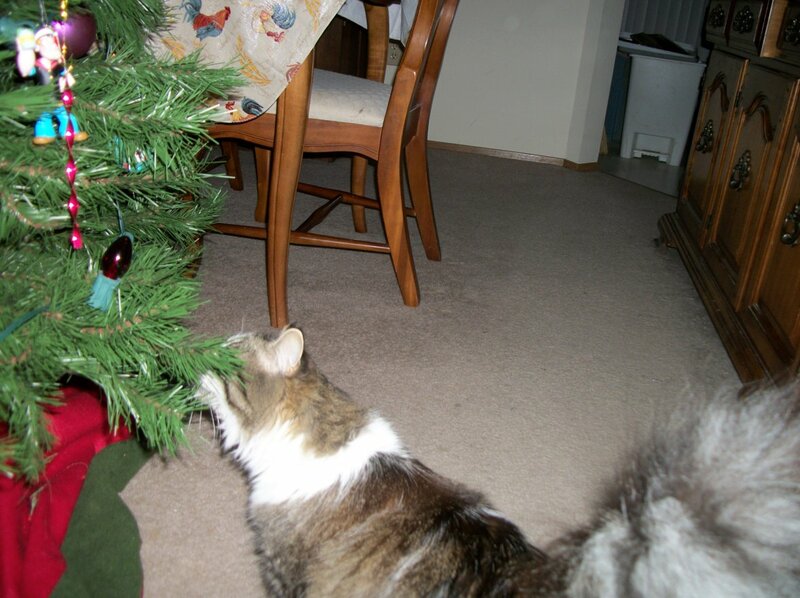 This does not smell like a REAL tree! I did not ask for the camera flash! 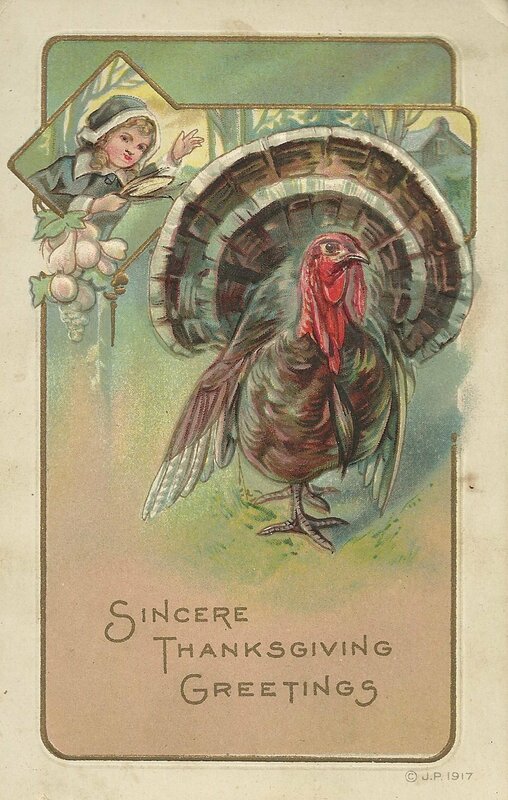 Thanksgiving Day we prowl about as the holiday turkey is being cooked. After we eat, we groom and sleep, while the humans watch football.